Checking your cooling system for engine coolant leaks is easier than you think. So, Engine coolant leaks can happen anywhere in the cooling system. 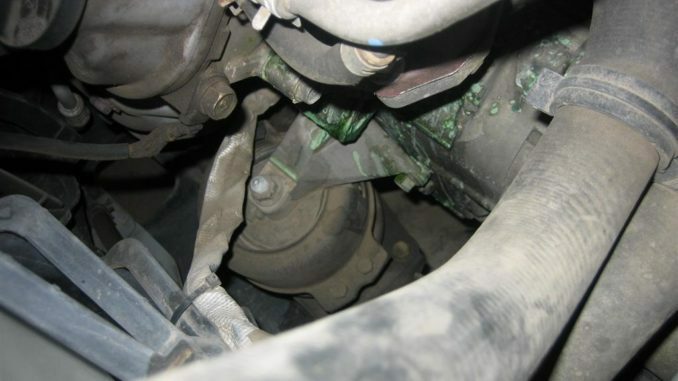 Fortunately, Nine out of 10 times, engine coolant leaks are easy to find. So, The first sign of trouble is usually an engine showing a low coolant indicator. As a result, This is followed by a high engine temperature reading or actual engine overheating. 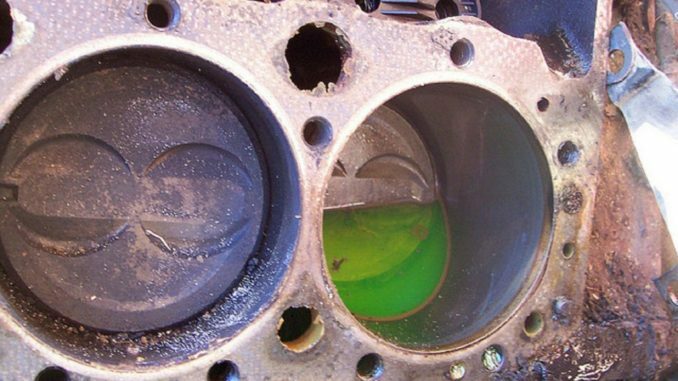 Usually the coolant can be seen dripping, spraying, seeping or bubbling from the leaky component. Antifreeze is a concentrated product, normally based on glycol and containing inhibitors. It has to be diluted at a suitable concentration for use. The diluted liquid is usually called coolant. If you suspect the vehicle has a coolant leak, visually inspect the engine and cooling system for any sign of liquid leaking from the engine, radiator or hoses. 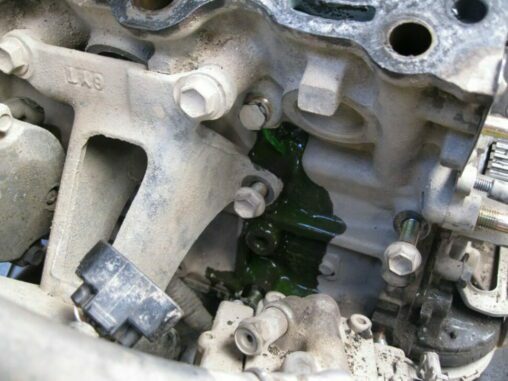 The colour of the coolant may be green, orange or yellow depending on the type of antifreeze in the system. You may also notice a sweet smell, which is a characteristic odour of ethylene glycol antifreeze. First of all, You need to know what type of engine coolant leaks you have. External leaks are the easiest to find. Since most times you will just visually see it. An internal leak would be noticeable when the coolant level does not stay constant and you find that you need to constantly refill the tank or your engine overheats. 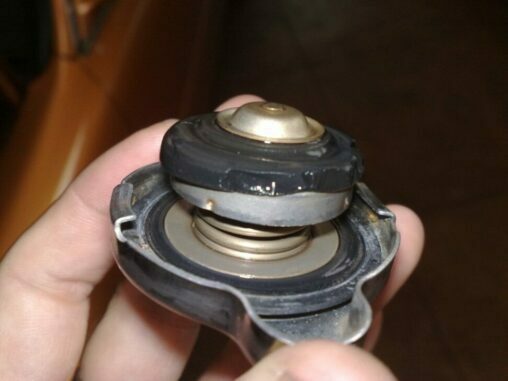 If you have a leaky or a weak radiator cap, you may experience loss of coolant in the overflow tank. This could also create an air lock in the rad as well. This will also cause pressure loss and engine coolant leaks. SAFETY FIRST, DO NOT, Open the radiator cap while the engine is hot! 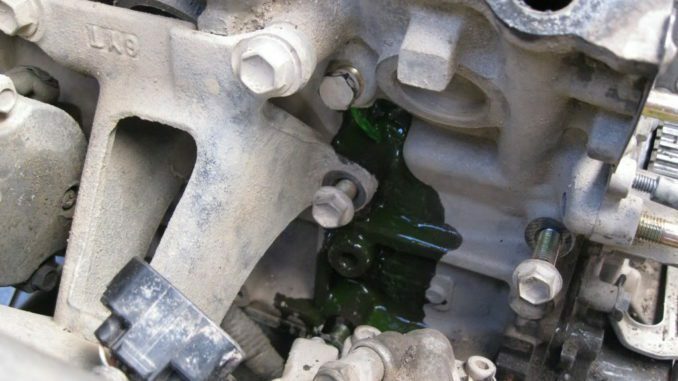 Even if the cooling system is leaking, the coolant will be under considerable pressure — especially if it is low and coolant is boiling inside the engine. Shut the engine off and let it sit about an hour so it can cool down. 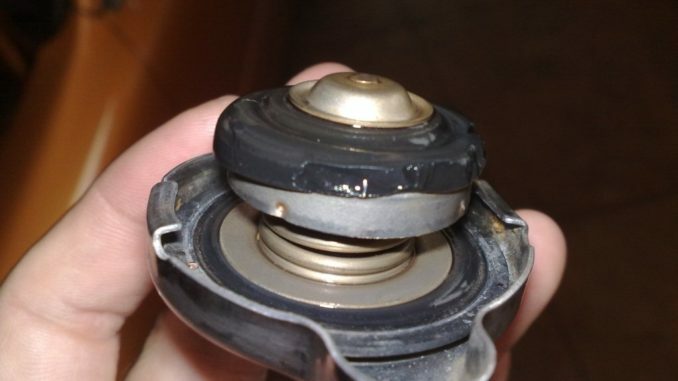 Then place a rag over the radiator cap and slowly turn the cap until it starts to release pressure. Wait until all the pressure has vented before turning the cap the rest of the way off. 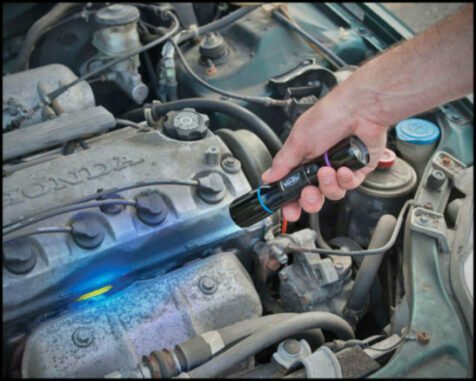 Adding Leak detection dye to the coolant can make a slow leak easier to find. 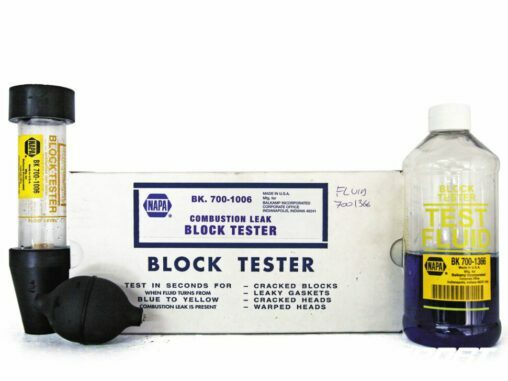 Most auto parts stores sell UV dye and light kits. You can add the UV dye to your engine cooling system and drive your car for a few days to make sure the dye circulates through everything. Then, park your car in a very dark place and use the UV light to search for your leak. The dye will show up very brightly under the UV light and should provide a path to your leak point. There are several ways to find out whether or not your cooling system is holding pressure. So, top off your cooling system, tighten the radiator cap and start the engine. When the engine reaches normal operating temperature, turn on the air conditioner (to increase the cooling load on the system) and/or take it for a short drive. Then check the radiator, hoses and water pump for seepage or leaks. This tool is nothing more than a little hand pump with a combination vacuum-pressure gauge and a fitting that is attached to the radiator filler neck. To check for engine coolant leaks, attach the tool to the radiator and pressurize the radiator to the pressure rating on the radiator cap. For example, if you have a radiator cap that says 12 pounds, you pressurize the radiator to 12 lbs. and wait to see what happens. 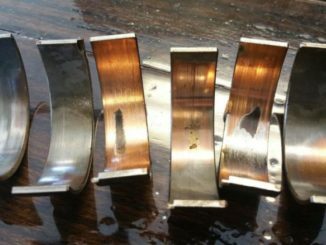 If there are no leaks, the system should hold pressure for 10 to 15 minutes. So, If it does not hold pressure, the system is leaking. Finally, If you cannot see any visible leaks on the outside, it means the leak is inside the engine. A block Checker is another tool that can be used to detect a leaky head gasket. The gas-sensitive blue liquid changes colour if there are any combustion gases in the coolant system. 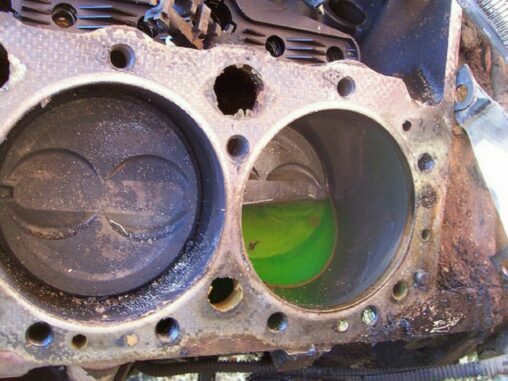 When refilling the cooling system after making a repair, always use a 50/50 mixture of antifreeze and water. Never use straight water because it has no freezing protection, no corrosion protection and it boils at a lower temperature (212 degrees F.) than a mixture of antifreeze and water (which protects to 240 degrees F.). Finally, The best way to avoid low coolant levels is to regularly check your coolant level and inspect your engine for signs of a coolant leak. 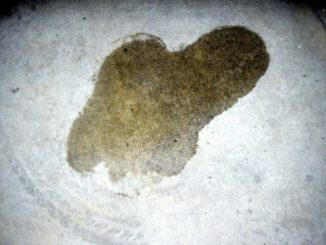 And, Once you’ve discovered a leak, either by lowering coolant levels or from evidence of a leak, you it repaired ASAP. 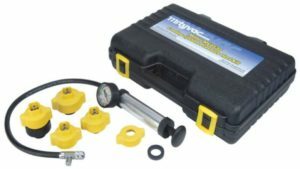 As a result, This will help stop overheating and major engine damage.